Defense Minister Liberman submits proposal to establish new town in Samaria for Havat Gilad residents, following last week's murder. Defense Minister Avigdor Liberman (Yisrael Beytenu) submitted a proposal to the coalition government Sunday, calling for the establishment of a new town in Samaria for the residents of the Havat Gilad outpost in Samaria, normalizing the community’s status while potentially requiring the relocation of some residents now living on disputed land. Last Tuesday night, Arab terrorists murdered 32-year-old Rabbi Raziel Shevach, a resident of Havat Gilad, in a shooting attack just several hundred yards away from the outpost’s entrance. Shevach, a mohel and volunteer MDA emergency first responder, was able to contact authorities and his wife after the attack, but succumbed to his wounds soon afterwards. He is survived by his wife, Yael, and six children. Havat Gilad was established in 2002 in memory of Gilad Zar, a local security coordinator who was murdered at the site by Arab terrorists in 2001. The community was built at the behest of and with the support of Zar’s father, Moshe Zar, a veteran settlement activist. The community was never officially recognized, and was labelled by the government as an “unauthorized outpost”. A number of partial evacuations were carried out during the Sharon and Olmert governments. 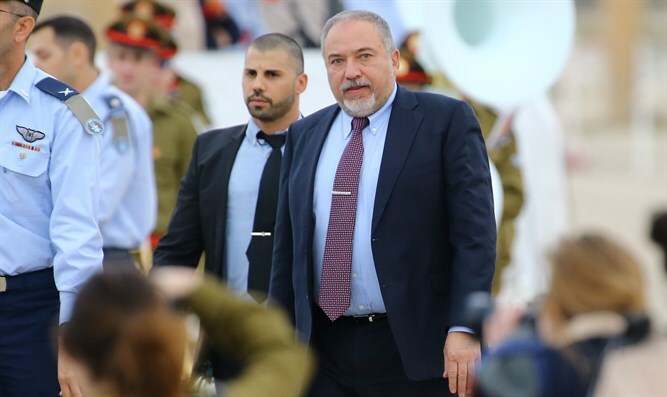 Following last week’s attack, however, Defense Minister Liberman announced that his office would investigate the possibility of retroactively recognizing the community, and upgrading its status from an unauthorized outpost to a full-fledged, normalized town. On Sunday, the minister submitted a proposal to the government, calling for the establishment of a new town in Samaria for the residents of Havat Gilad. If the proposal is accepted, it will be the second time in less than a year that the government has sanctioned the establishment of a new town in Judea and Samaria. Following a freeze imposed by the Rabin government in late 1992, no new Israeli towns were established by the Israeli government in Judea and Samaria. Last year, the government announced the establishment of Amichai in Samaria, intended to replace the outpost community of Amona.